Remember that old song which began “Summertime, and the Livin’ is Easy”? 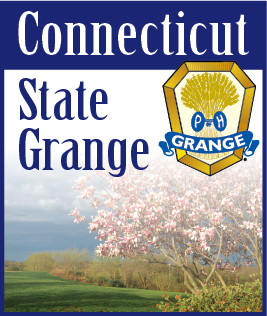 Well it’s summertime in Connecticut and our Grange life is easy. We have Grange picnics, mystery rides, fairs, and don’t forget Lecturers’ Conference. This is the 100th Anniversary of the North East Lecturers’ Conference. I have heard that it is one of the best in the country. It is a nice ride from here to Maine. The weather is cooler and the beautiful rocky coast of Maine calls to us to visit. By the time you are reading this you should have received all the information in the mail. For anyone who didn’t get it, the conference is at St. Joseph’s College in Standish, Maine on August 3, 4 & 5. If you need an application and didn’t get the information, please let me know and I will get it right out to you. If you have any activities planned and need a little more publicity let me know. We are now sending out an email twice a month (more or less often as needed). And if you don’t get this list of coming activities and would like to get it, just email me and I will happily put you on the list.